This is an excellent budget Case. This is the windowed version. OK, so the Motherboard tray cut-outs don't have rubber grommets, but the edges are ground smooth. Plenty of room for cable-management. 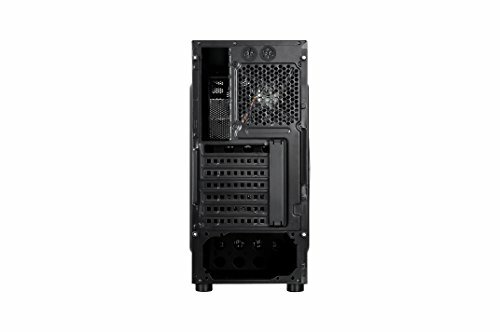 Plenty of Case Fan options. Tool-less front panel fan system. 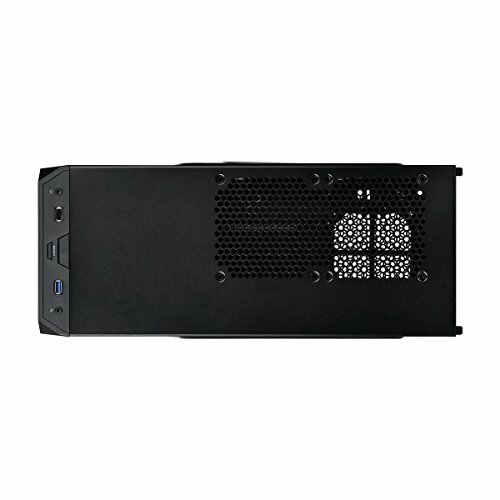 Front Panel USB 3.0. Easy installation of components. Plenty of room for a long Graphics Card, but customisable 3.5/2.5" drive bays if you have a really long one. Really impressed how good it is for the budget price. 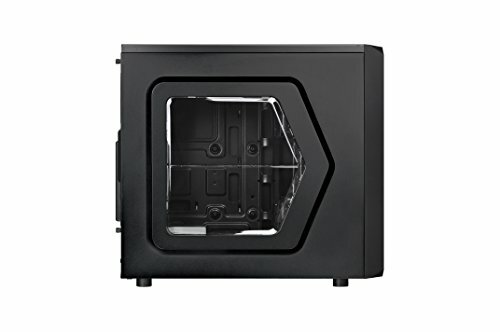 Case is good you get what you pay for, only thing I didn't like is that it doesn't have many options to install fans like I would want to. The case is pretty good. 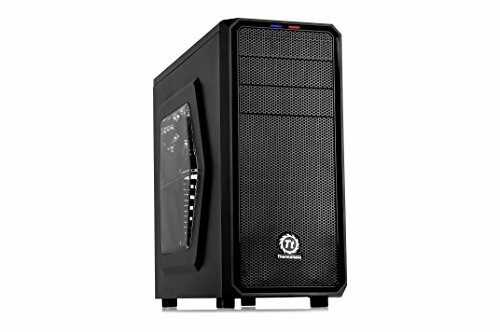 Considering its price tag, it is well built, looks great and the included fan is nice and quiet. You can definitely tell that its cheap as some parts don't feel as solid as others and it was also a very tight squeeze getting the side panel back on with all the cables routed round the back, but a good case overall. LOVE IT! 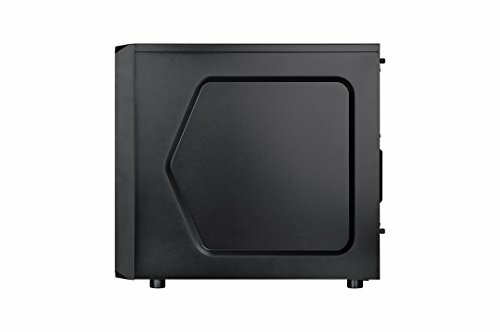 I've used quite a few low-end cases, and this one is the best, in terms of build experience. It doesn't look very cool, with only a small LED below the top panel, but apart from looks, it's killer: tool-less PCIe cover, HDD bays, and SSD bays (unlike Corsair's "tool-less" ones that actually require screws for SSDs). You don't need mobo standoffs, because the screw holes are elevated (really nice), has pretty decent cable management. The side panel window isn't tinted, so if you have LED lights, might be an issue. But if you don't have LEDs, it allows you to actually see your parts. 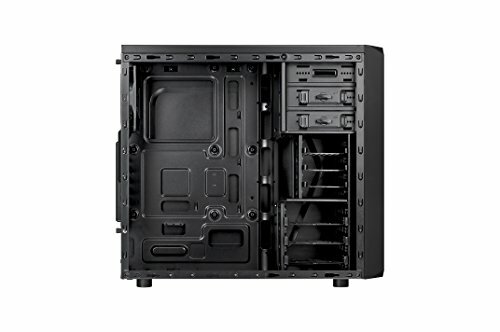 Nice looking case with plenty of space to access your parts. Feels really sturdy for a budget case. Lots of room for cable management. Good for it's price. The main struggles I had was the cabling (no holes above the motherboard) and there was no room above the motherboard so installing the 4-pin CPU connector was a pain. Also no front fans so you'll need to buy 1 or 2. However, managing the cabling at the back was made a lot easier with the tie-down points for zip ties or twist ties.